Obituary for Dorothy May (Reed) Clement | Fleming & Billman Funeral Directors, Inc.
Dorothy M. Clement, age 91, former Ashtabula resident, died Sunday morning at the Ames Family Hospice House in Westlake. She was born September 20, 1927 in Portland, ME, the daughter of James & Viola (Smith) Reed and lived in Ashtabula more than 40 years prior to relocating to Cuyahoga County in 2000. Mrs. Clement worked for many years at the True Temper Corp. in Ashtabula. She enjoyed traveling and crocheting, donating many afghans to different charities. Survivors include five children, Donna Greener Brockway, Lester Clement, Jr. in Ashtabula, Sandra (David) Mellott, James (Carrie) Clement & Viola (Philip) Borris; 10 grandchildren; three great-grandchildren and two siblings, Warren (Dottie) Reed & Carmen Ryan. She was preceded in death by her parents, three brothers, James, Albert & William Reed and two sisters, Alice Card & Patricia Daly. A cemetery service will be held Saturday at 11:00 A. M. in the chapel at Greenlawn Memory Gardens, N. Kingsville with the Rev. Mick Gilliam officiating. Memorial contributions Hospice of the Western Reserve-Ames Family Hospice House, 30080 Hospice Way, Westlake, OH 44145. The Fleming & Billman Funeral Directors and staff, Ashtabula, Jefferson & Geneva are honored to serve the Dorothy Clement family. 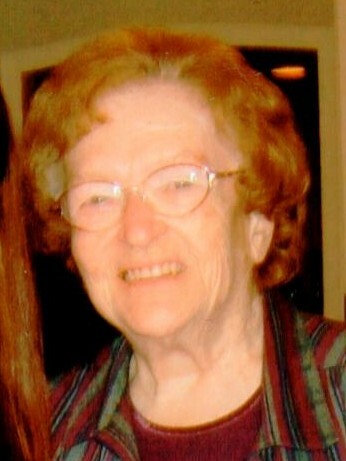 Visit fleming-billman.com to view obituary, express condolences, send a flower or light a candle.